T2 tankers Chrysler's Field – Built in 1943 by Sun Shipbuilding & Drydock Co., Chester, Pennsylvania for the United States War Shipping Administration, Philadelphia. To Imperial Oil Shipping Co, Montreal, Quebec, Canada in 1947 and renamed Imperial Winnipeg. 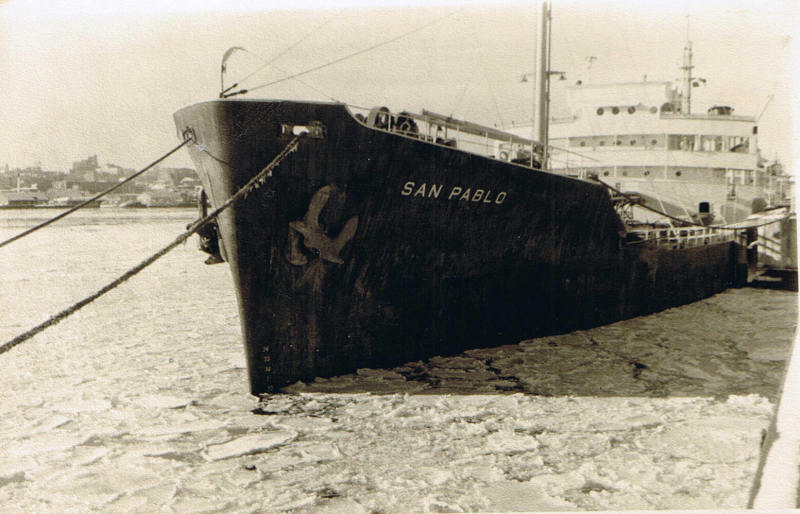 To Compagnia Atlantica de Navigacion S.A., Panama in 1954 and renamed San Pablo. Scrapped at La Seyne-sur-Mer in 1962. I was onboard as Young Deck Boy ……..